This is the story of the sequencing of the fly genome as told by one of the participants, Michael Ashburner. Written in a diarylike form, half the story is told in numerous footnotes. Ashburner has written a delightful, candid, irreverent, onthescene tale filled with eccentric personalities all focused on a single goal. 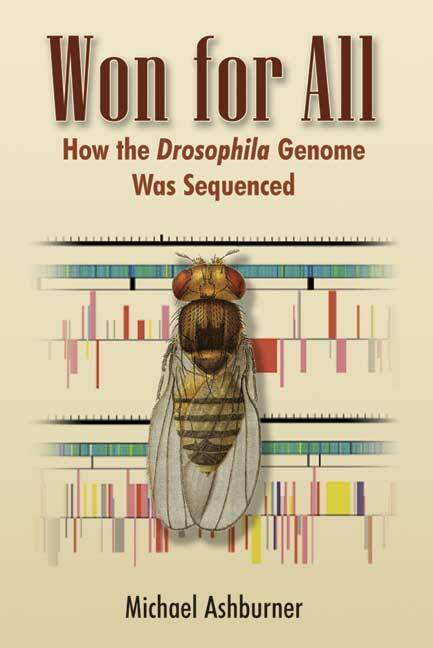 The book also contains an Epilogue that puts Drosophila as a model system in historical context, and an Afterword that discusses the impact the genome sequence has had on the study of Drosophila. Also included are portraits by Lewis Miller of some of the principal characters. About the author: Michael Ashburner is Professor of Biology in the Department of Genetics at the University of Cambridge. By training and inclination, he is a Drosophila geneticist, although for more than a decade, he has not been where he belongsthe lab benchbut in front of computer screens. He spent six years at the European Bioinformatics Institute, first as the Institute's Research Programme Coordinator, and then as its JointHead. He is a Fellow of the Royal Society and an Honorary Foreign Member of the American Academy of Arts and Sciences. Geneticists, fly pushers of all kinds, and anyone interested in the political and social maneuvering that takes place in modern science should enjoy Ashburner's account of how the Drosophila genome was won."